Automotive transmission systems have been undergoing several developments in recent times, with the most crucial one being the shift from manual to automatic. The key function of a transmission system is to circulate power from the engine. These systems utilize gears and clutch to provide torque conversions and speed. The growing demand to improve vehicle performance and fuel economy, the changing and varied needs of users, and the demand for enhanced driving experience have resulted in the development of advanced automotive transmission systems. Hoping to minimize the transmission power response time and comply with carbon emission norms, automobile manufacturers are constantly conducting R&D activities to improve vehicle performance. This has resulted in the development of advanced transmission systems. Dual clutch transmission (DCT) and continuously variable transmission (CVT) are two main types of automotive transmission systems. Customers across the globe have different needs and preferences for transmission systems, which has led to diverse market conditions for both CVT and DCT. For instance, CVTs have gained preference over DCTs in North America and Asia, while CVTs are likely to be discontinued in Europe, with DCT installation rates gaining greater ground. Leading automakers such as Volkswagen and Honda manufacture their own automotive transmission systems in-house by partnering with other Tier-I technology vendors. This has resulted in limited scope for growth of other automotive transmission system manufacturers. The global automotive transmission systems market has been segmented based on type into continuously variable transmission (CVT) and dual clutch transmission (DCT). On the basis of type of vehicle, the market takes into consideration commercial vehicles and passenger cars. From the point of view of geography, the worldwide market for automotive transmission systems can be categorized into Europe, North America, Asia Pacific, and the Rest of the World. 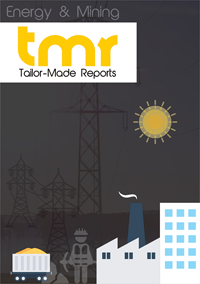 The report highlights the prominent factors influencing the growth of the automotive transmission systems market. Based on the findings of the report, the need to reduce carbon emissions, the growing demand for the expansion of production facilities, the need for better fuel efficiency than that offered by conventional transmission systems, and high installation rates of continuously variable transmission systems in Asia Pacific and North America are currently driving the demand for automotive transmission systems. On the flip side, high maintenance cost and performance gaps pose a major challenge for the growth of the automotive transmission systems market. Moreover, high cost constraints of dual clutch transmission systems and technical limitations of continuously variable transmission systems result in a lower installation rate in commercial vehicles across the globe. On the plus side, however, the increased demand for hybrid vehicles presents key opportunities for this market. Automobile manufacturers in developing markets such as Brazil and India are yet to explore the use of these technologies, which is likely to spur the demand for automotive transmission systems at greater levels. There are several leading players operating in the automotive transmission systems market. These include Borgwarner Inc., Fiat Powertrain, Aisin Aw Co. Ltd., Gkn Driveline, Hofer Powertrain GmbH, Hilite International, Fuji Heavy Industries, Jatco Ltd., Magna Powertrain, Niba Ag, IAV Automotive Engineering, Ntc Powertrain, Luk GmbH& Co., Suzler Ltd., Valeo, Tremec, and Ricardo plc.